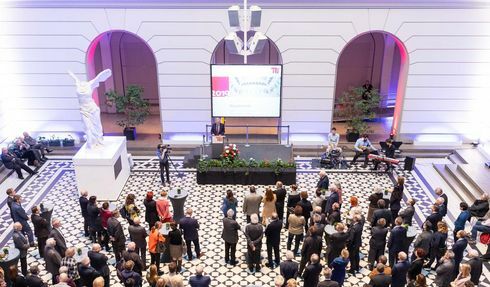 The TU Berlin offers a wide range of events, which internally and externally demonstrate the achievements of its members. The events can serve as a link between Politics, Science and Economy, as well as Arts and they support our corporate identity. Please find an overview of upcoming events in our calendar. The team “The President’s Protocol and Events” is in charge of organizing and implementing the central events for the President of our university and answers questions regarding the Protocol. The team also provides advice to members of the TU Berlin concerning eventmanagement.